An Insurance Cost Appraisal is also referred to as Replacement Cost New( RCN). It is the process of determining the value of a replacement building or facility if the existing one is destroyed by a disaster such as floods or fire. 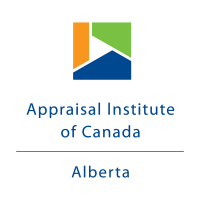 Most insurance cost appraisals in Calgary are done annually. This ensures that a property is not under or overvalued. The insurance appraisal process ensures that the property is adequately insured. If it is undervalued, in case of a disaster, the insurance company will only pay for the insured cost. If the property is overvalued, it means that a person will have to pay higher premiums. Value addition or facility renovations: Normally, renovations increases the value of a facility and hence the need to do an insurance appraisal to get the actual value of the property. Condominiums always require an updated insurance appraisal to avert conflicts amongst members in case of a disaster. Insurers use appraisal reports for compensation purposes. Are you looking for an Insurance Cost Appraiser in Calgary? Then look no further. At Harrison Valuation Group, you will get excellent services. 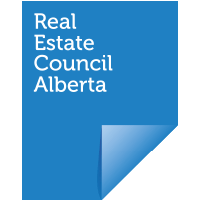 We are the chief appraisers for companies such as Airdrie, Beiseker, Okotoks, Strathmore, Turner Valley, Black Diamond, Cochrane, Chestermere, High River, and Crossfields among others. Our quality services are second to none. Our staff members are highly qualified, and they are always willing to go the extra mile to deliver the best. They work passionately for the good of our clients. Commercial Appraisals. These are further divided into Office, Retail and Service Appraisals. Industrial Appraisals: These deals with factories and warehouses. Land development: In determining the value of unused land, the appraisals are done by estimating the potential income and the net cash flow once the development is complete. Residential Appraisals. These are mainly for homeowners. Farm and Acreage Appraisals. These are for commercial farmers, and it covers both crops and livestock. Why you need the Insurance Cost Appraisal? The appraisal is beneficial to you because you need to know the value of your property and in case of a disaster, the insurance company will be able to compensate you for the correct value of your property. Insurance Advice: The adjuster will enlighten you on the best policy or policies to take for your property. Sometimes one facility may need more than one policy. An Insurance Cost Appraisal enables property owners to know the cost of their property so that in case of any destruction, the compensation would cover for an entirely new facility. This saves a lot of time and reduces the stress that comes with under or overvaluation. The adjusters also advise the owners of the facilities about any other insurance policy that may be eligible for their property. Harrison Bowker will never disappoint when it comes to Insurance Cost Appraisals.